NextWhat is Optimized WordPress Hosting? Do You Need Fully Managed WordPress Hosting? Do I really need to pay extra for fully managed WordPress hosting? and what the heck does that even mean! One of the most exciting parts of WordPress is its flexibility, meaning it can be installed and hosted just about anywhere. So for a few dollars a month you can get an unmanaged hosting account with WordPress installed on it and with so many easy to follow guides out there (like ours! ), you can be up and running in just a couple minutes. So is it really worth paying more for a fully managed WordPress service when you can just do it yourself? Well, that’s up to you! Lets talk about what you’d be missing out on. What is Fully Managed WordPress Hosting? For even more detail, you can read about the lengths BigScoots goes to customize and optimize each and every single Managed WordPress hosting account and why we are able to deliver the fastest WordPress hosting out there today! First, its important to know exactly what you’re getting. Cheaper hosting plans typically fall into the category of shared hosting, which exactly as the name suggests, is all about you sharing your resources with many others on the server. This also allows you to share the cost which makes it an excellent starting place for many new websites whose main concern is keeping expenses as low as possible. The obvious issue of sharing your resources with others however, is that you are restricted by other user’s dependencies and therefore not able to take full control over your hosting environment. At BigScoots, our WordPress Optimized Starter and Professional plan are both dedicated virtual environments, and our Business and Enterprise plans are completely dedicated servers, dedicated exclusively to you and your WordPress website(s). This means that unlike many other web hosts, we are given the flexibility with our industry leading management along with a little extra time and attention, to build and customize your hosting environment specifically for your unique WordPress website and its demands. According to w3techs, WordPress accounts for 60% of all the Content Management Systems in the world. So, making the decision to leverage WordPress and all of its flexibility is very often the right decision, one that many millions of people make every day. But without full control over your WordPress hosting environment, which BigScoots customizes and optimizes specifically for you and your WordPress site, you will never be able to achieve the scalability, reliability and performance a BigScoots Fully Managed WordPress Hosting service would be able to. When you’re running a website and your income depends on it, it is critically important to know your data is regularly backed up, and those backups can be counted on. At BigScoots, our redundant dedicated backup appliances, which are located off-network, backup all of your data every single day. WordPress is a multi-purpose content management system that can be adapted to pretty much any kind of website you desire, which is typically done through plugins. 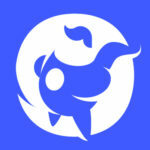 They are updated frequently to include new features and prevent exploitation bugs, which can actually introduce new and unwanted bugs at the same time. With a managed WordPress plan, we assist with your plugin management and ensure that any nasty plugins causing you issues are quickly addressed. As fantastic as WordPress is, it is extremely rare to never run into any upgrade issues, plugin conflicts or bugs of all kinds. That’s where BigScoots really shines. Having a fully managed WordPress plan with us means your issues get real WordPress experts not just responding to you, but actually resolving your issues, normally inside 5 minutes. Not all servers are built and maintained with just you in mind. By optimizing on both the hardware and software level, at BigScoots we adjust hundreds of variables to find your absolutely optimal WordPress configuration. Hackers loom around every corner and look to exploit out of date plugins and penetrate any WordPress installation they can. By proactively monitoring your website(s), we’re able to detect issues and resolve major problems, often times before you even know there is an issue. No matter if you’re a WordPress veteran or brand new to all WordPress has to offer, our industry leading management and WordPress hosting experience can always be called on to further improve any WordPress site (guaranteed!). These improvements are however very manually intensive and therefore demand a higher price point. Since these environments are specifically designed and optimized for WordPress, it is not advised to host other platforms, other than WordPress on them as that would take away from some of the optimization we’ve done. We do however have many clients who choose to host their WordPress site(s) on our managed WordPress plans, while hosting their non-WordPress sites on a combination of our other services. No matter if you’re new to hosting and you’re looking to setup your first blog, or if you’re a seasoned developer, our Managed WordPress hosting plans have something serious to offer you. 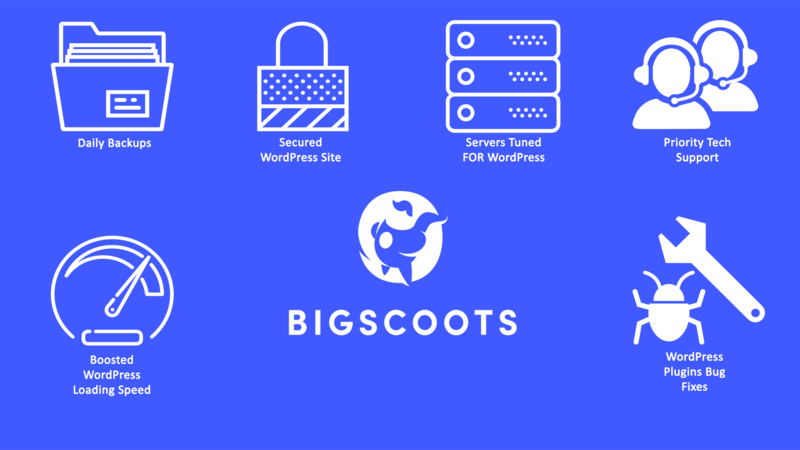 The added security, reliability, scalability and performance our BigScoots WordPress Managed Hosting Plans brings to every single one of our clients, means you’ll be paying a little extra for the fastest, most secure and reliable WordPress hosting environment out there. Take a look for yourself at just how significant the load time improvements for our clients really are, here.